A warm welcome to Kawahiro! 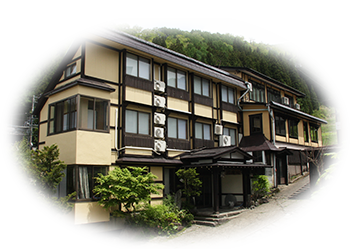 Nozawa Hotsprings are located in the midst of the beautiful	nature of Shinshu and since	long ago large numbers of people have come to enjoy	its	friendly hotsprings. 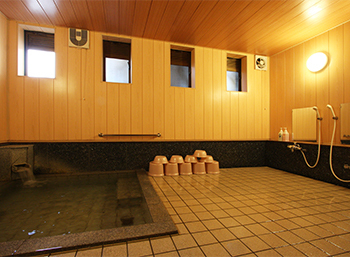 Surrounded by	peaceful mountains,	hotspring water	gushes out from	the	spring. Comfortable	and	relaxing That is	the	style most suited to attaining peace of	mind at	our	friendly inn. Our	cosy and comfortable rooms will	help soothe	your travel fatigue. Located right in	front of the Nagasaka Gondola lift! Enjoy your country-style meals (dinner,	breakfast) using locally-produced vegetables and other ingredients with	a	completely Japanese	atmosphere in a	charming rustic	setting. 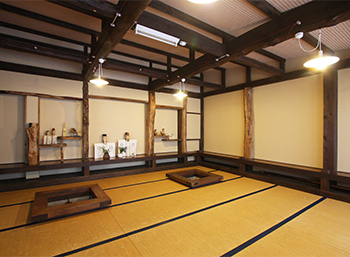 There are a total of	12 Japanese	rooms. 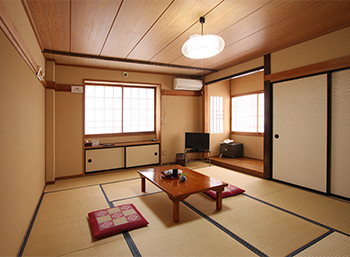 Our	Japanese rooms are cosy	pure Japanese-style	guest rooms. Please spend a peaceful	Nozawa evening with	us. Also, from your	window your	can	enjoy the crisp	fresh air and natural scenery.